Go Walking 11, a personal tracking app. It is the follow-on to the Go Walking App released in 2012, but it is more than a simple update. Go Walking 11 has been completely rewritten using the iOS 11 APIs and latest release of the Swift language. Go Walking 11 is suitable for all outdoor activities involving travel and location, such as walking, running, biking, hiking, boating, golfing, fishing, etc.. It is even useful in finding where you left your car. Go Walking 11 uses the iPhone built-in GPS to track your movements and map them, all while providing instantaneous time, distance and speed. Additionally it provides your overall pace, information you need to meet your goals. Each session with Go Walking 11 can be saved to a History file and reviewed to monitor your improvement. In addition you can share the map of your session on available social media, email, messaging or into your photo albums. Accumulated time and distance is stored and can be reviewed at any time. As you are traveling on your activity Go Walking 11 provides you with the ability to annotate your track with pins and comments including taking photos associated with the location. 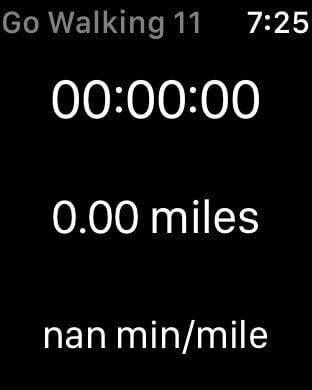 Go Walking 11 includes a very simple AppleWatch interface, including a complication which allows the data to be displayed following a simple tap on the complication. 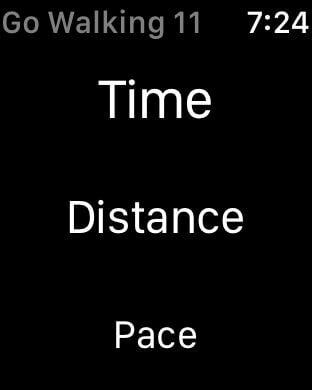 The watch displays time, distance and pace but due to the many watch functions the update rate is limited to once every 20 seconds and may not be able to maintain that rate as other, higher priority actions are required of the watch. It should be noted that the iPhone GPS can dramatically reduce the available battery time. 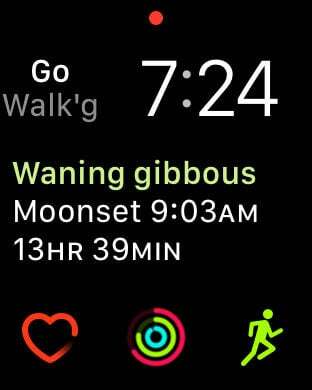 Go Walking 11 has been designed to take advantage of charge saving features built in to the latest versions of iOS. It also monitors the battery charge level to notify the user of impending low battery charge condition.